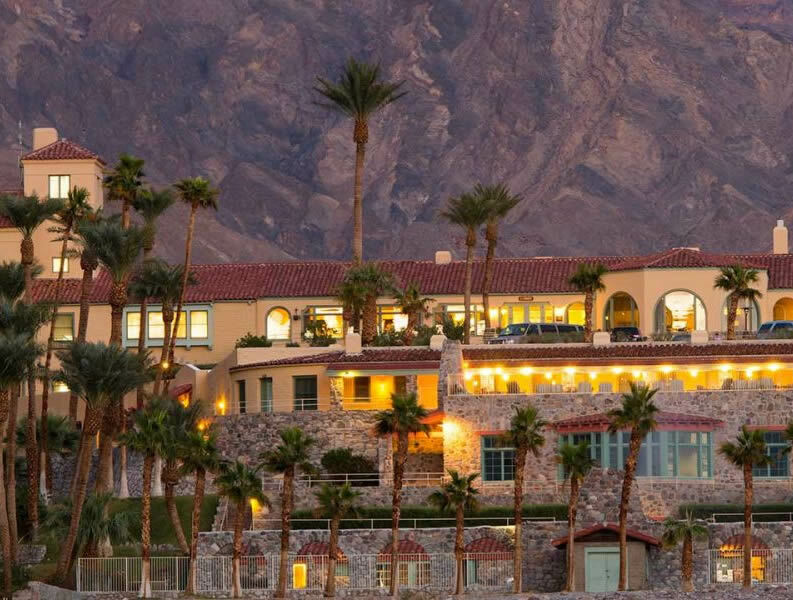 The Furnace Creek Resort is situated in a lush oasis surrounded by the vast and arid desert of Death Valley National Park, California – just 120 miles northwest of Las Vegas, Nevada and 275 miles northeast of Los Angeles, California. This is one resort with two hotels – the historic, four-diamond, 66 room Inn at Furnace Creek and the more family-oriented, 224 room Ranch at Furnace Creek. Spring fed swimming pools, an 18-hole golf course, 3 restaurants, saloon, playground and Borax museum are some of the attractions of this resort.